On Yesterdays post, I forgot to mention another member of the "Luther Pack" that attended The Fort regularly until her passing. Doh! My apologies for not mentioning you Miss Gracie. She was one heck of a dog, one of the oldest The Fort has ever had in the Big Roll. Although she was sort of on her "last legs" when she started, she was extremely sweet and did surprisingly well with the pack. In other news... Hannah and Logan's ma sent me in two great pictures this morning. The pups just had their very first beauty parlor day hahaha. Don't they look sharp? Hannah's face is priceless and Logan looks to be his charming self, as usual! P.S. 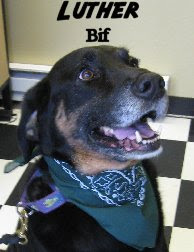 As always, email us those awesome pics of your Fort Fido dog. We like to collect them and love putting them up on our blog. *Edit* Sooo sorry for forgetting to mention Miss Gracie in this post! Unfortunately I have a bit of sad news to report today. 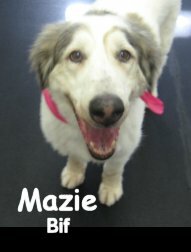 Good friend of The Fort Mazie recently crossed The Rainbow Bridge. 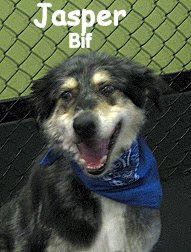 Her and her brother (the late, Jasper) attended Fort Fido regularly until it got to be a bit too much for them. 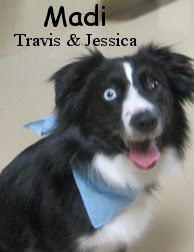 They were both really neat and darn lucky dogs whose last days couldn't have been better! 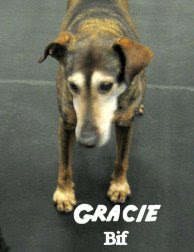 Their owner is a marvelous gal who continuously rescues large/old dogs that others have discarded or abandoned. She cleans them up, feeds them well, takes them to the vet, takes them to doggy daycare and (most importantly) gives them the love they truly deserve. One from the Medium Roll featuring a hard to beat tag-team of Lab pup Emily and Black Pug Cooper. Those two were battling it out against Fort Fido old timers Bella and Lucy. From this clip it sure looks like Emily and Cooper will be walking away with the title hahaha! Upstairs was a triple-threat-match with Little Buddy, Miss Mia and the original Bad-Boy Miller. I'm not too sure who the victor was in this one, the only thing I do know is that this trio should sleep well tonight! Diego and his ma Carla sent me a great photo of Diego and his best friend (eight years old) hanging out. Diego also sent me a link to some really funny pet videos... The first one that pops up reiterates the fact that "It's all fun and games until someone winds up in a cone" hahaha. P.S. Just adding a few news links that I found this morning. I captured a really great clip this afternoon-a minute-and-a-half of wild doggie daycare action! Check out all those wagging tails. :-) First we see Bella and Emily tearing it up, then Daphne and Buddah join in, and soon Buddy and Buddah start stealing the show! Aside from that, there was some really awesome doggie news today. The new "World's Ugliest Dog" was crowned yesterday, a 'boinic dog' can walk again thanks to some really awesome prosthetic legs, and the "Dog Whisperer" Cesar Milan has some summer dog-care tips. Our canine friends made quite a bit of news this week. 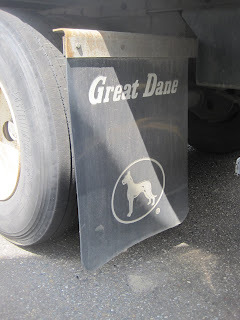 Here's a short list of articles I found featuring Man's Best Friend! A Marlyand dog ran a half-marathon, and raised $13k for cancer. Make sure you watch the YouTube clips with this article--it's very cute! Us dog-people already knew this, but now science proves that dogs can recognize facial expressions, even on people that they don't know. Here is another great article about service-dogs for returning Servicemen (and women!). In California, a 5-week-old puppy was rescued by plumbers after falling down an uncovered sewer drain. What a lucky little guy! P.S. If you're looking for something to go out and do in the sunshine this weekend, consider checking out the Tacoma Highland Games! No blog post today, our apologies... We are experiencing some technical difficulties :( . Maybe it's time for a new computer? Nah... Our in-house computer expert Gary will have us up and running tomorrow. Thanks Gary! Jasmine, Marco Polo and Romeo had some good bouts this morning. The last clip is some more Jasmine. This time she is finding some fun in new pup Jonsey and Fort Fido regular Niko. Yesterday I received this flyer from the US Postal Service in the mail. I'm certain that many of you have already seen it but I thought I'd post it up anyway. It's interesting... I guess the "Mailman getting bit by a dog" isn't such an old wives' tale after all. Maybe I'm the only one that got it? Gibby is pretty scary! Hahaha! Heh heh, not quite like that! This morning we welcomes Zeus, a nine-and-a-half week old Boxer into the pack. After some initial sleepiness (6:30 a.m. is really early when you're growing!) 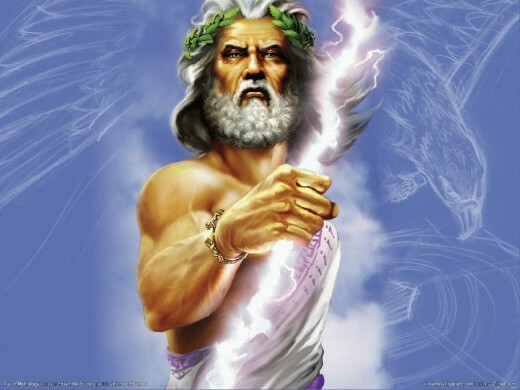 Zeus was trying his hardest to tear it up in the medium role. 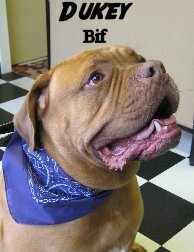 He is eager to learn the ropes here at the Fort, and is ready to play with just about anyone. 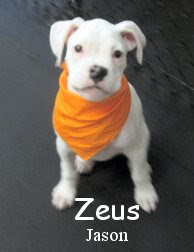 Check out this short clip of little Zeus playing with buddies Patty and Lucy! We hope to see him again soon! In this clip from today you can see best buds Buddah and Trevor tearing it up, while Black Lab Emily tries to get in on the fun. Golden Retriever Benny comes in for a moment, and Trevor's sister Daphne also comes in to romp at the end. In this next clip, Marley, a mixed-breed, and Emily go for a romp. Have a great weekend everyone, and we'll see you back here on Monday! P.S.--I caught one more great clip this afternoon, when Bella the poodle arrived! Stunning pics of Dakota taken by her owner Michelle. These may be my favorite ones yet, looks like it was an awesome trip! As always, click on the photos to enlarge them. P.S. The band and I will be in Marysville, WA on Saturday for the 80th Annual Strawberry Festival's Grand Parade. It's a "night parade" and promises to be a blast! Well, it's official! 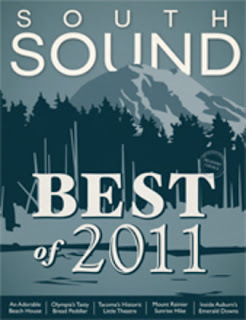 We have been titled "Best Doggy Daycare in the South Sound" for 2011 by South Sound Magazine. So very cool! We are humbled and truly appreciated this accolade. The best part about it is that we had no idea lol. They held a vote online and we came up number one. Thank you to all of our wonderful customers and South Sound Magazine. P.S. You can pick up the current issue of the South Sound Mag (with us in it ;) at most grocery stores and pharmacies in and around University Place. We also have copies of the article at The Fort. New pup Ziva was in this morning for her assessment. 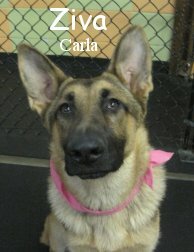 She is a stunning, seven-month-old, sixty pound, German Shepherd. We started Ziva in the Medium Roll where most large breed puppies start. Eventually they head to the Big Roll once they get their bearings and or start to get "too big for their britches". Of the day and some links to some great articles found today. This one is from the Medium Roll. It shows Lucy and Patty becoming the best of pals... Meanwhile pup Emily does a fun play-bow-wiggle-dance to entice Faramir (Our very first customer) into play. Cute! $500,000 'dream' dog park comes true in Ga.
How much for that guard doggy in the window? This is a true story of reuniting long-lost friends. A man was reunited with his dog after the pup had been missing for more than five years. What a relief it must have been to see his best friend again! I have noticed in the news lately a lot of stories about therapy dogs and the benefits that they can grant to children with autism. Here is a great story about a girl and her pup--the four-legged-friend made a huge impact on this girl's life, and has helped her tremendously. A Tulsa man rescued his wife's puppy from drowning in their backyard pool, reviving him with CPR. Aside from the news, I also have some clips from today to share. 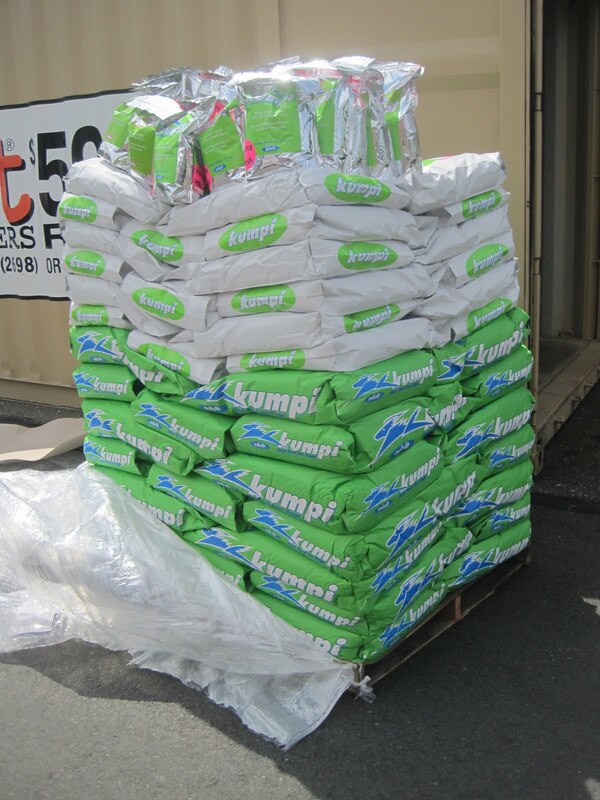 Some shots from the Kumpi locker today... Four tons, our biggest order yet (each pallet-full is one ton), that's a lot of stackin lol. 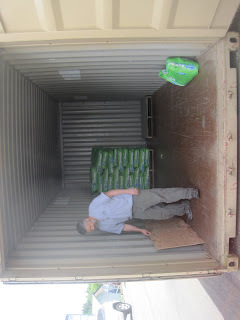 So many dogs we know are doing so well on the food, it is amazing! 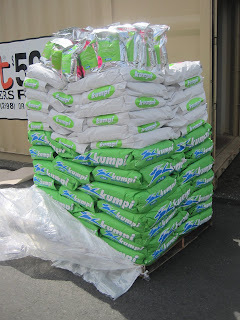 Before next order we will be constructing some type of ramp to get the food from the Semi Truck Trailer to the Storage Container without having to haul each bag by hand. Hey, I gottta save pop's back for a few more years some how right? ;) Hahaha! P.S. 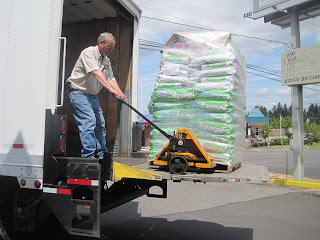 Gotta thank our delivery driver, he really tried his darnedest to get those pallets straight into the locker before giving up... He also gave us some tips on how to throw together the ramp. Thanks! From the Duck Daze Parade we participated in last Saturday. 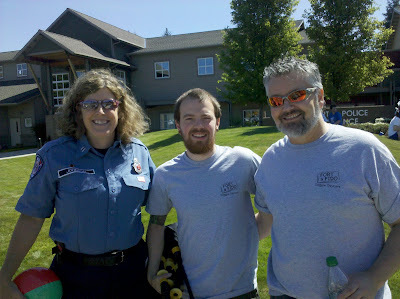 The first picture is of University Place Fire Department Lieutenant Michelle Johnson (Long time Fido supporter, Dakota's ma), me and my dad (Dave). 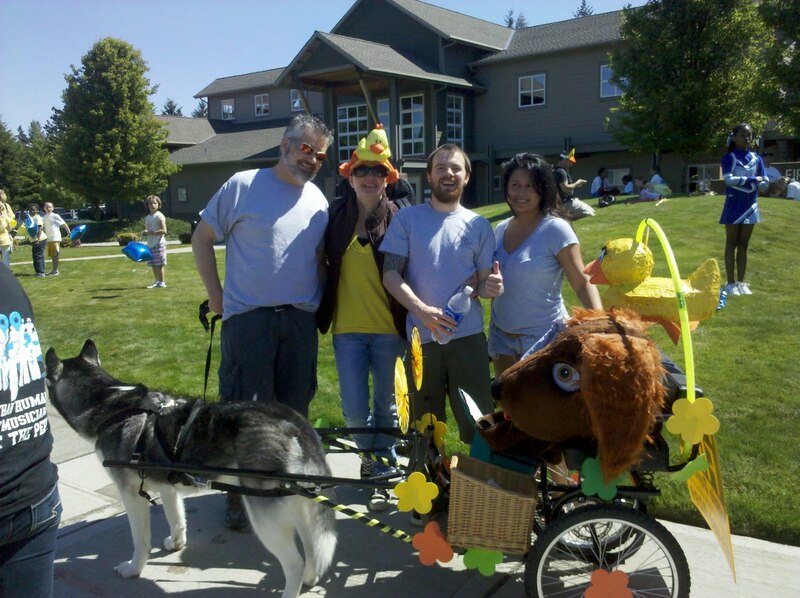 The second picture adds Marco Polo and his cart, my wife JM, mom (Nancy) and Fido's head lol. P.S. Thanks for sending in those pics Michelle! We got some good clips from all the different areas today. Take a look at what the action was like at the Fort today! Here are big guys Aliisa, McGee, and Stella all rolling around together. Aliisa is an Airedale Terrier, and Stella and McGee are both Boxers. Medium dogs Libby the Malamute pup and Barkley the Miniature Poodle had a great time this morning. Upstairs, there was a lot of ball time for the small set. P.S.--Check out this dog surfing competition!. Seems like out four-legged-friends like sports just as much as the rest of us! 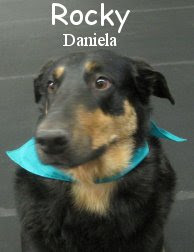 Meet Rocky, he is a four year old, one hundred and ten pound, Collie / Rottweiler Mix! He is quite a sharp looking chap that has a very sweet disposition. Rocky assessed this morning, he is looking to find some new dog friends... Unfortunately his main pal at home, a St. Bernard, recently passed away. P.S. The Duck Parade was very fun and bigger than ever. Thanks to all who showed and said hello. I hope to have some pictures from the day emailed to me from a friend soon. Buddah and Buddy both got to go in the mix with some larger dogs today. The two of them had a great time wrestling with each other--these little ones are no joke! They are definitely all dog, ready for the same rough-and-tumble play that all the other guys engage in. A dog was found thanks to a little help from the modern technology of Facebook! Thanks to his microchip, a missing pup is back home after being found 2100 km away. Firefighters save a beagle from a kitchen fire. Here are a couple of good ones from the Medium Roll. The first is of Barkley and Mimi egging on Miss Phoenix, very funny! Although it looks a bit "wild" in this clip, they are all buddies. The second clip shows Bella and Gibby having some fun while Chance and Lucy do the same in the corner. It sure was a good medium group today. Our last clip is a bit of neck fighting from the Big Roll this morning. It features Boxers Stella and Sam rolling around with Black Lab Truman. Please welcome Maggie to The Fort! 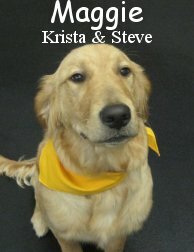 She is a six month old, thirty pound, Golden Retriever who had her assessment early this morning. We went ahead and put Maggie in the Medium Roll which ended up being a perfect fit for her. She had a blast with the pack, playing hard, fast and almost the whole duration of her assessment. Maggie has a lot of energy yet spoke pretty good "Dog" for a young pup. We hope to see her again soon. Good going today!